When I first started thinking about how to talk about my financial situation in a public forum like my blog, one of my teammates just laughed and said, “Ok, just make sure you don’t end up sounding like LoLo Jones!” (Jones earned a thumbs-down from the Internet and from her NGB for publicly complaining about her funding stipend pre-Sochi). 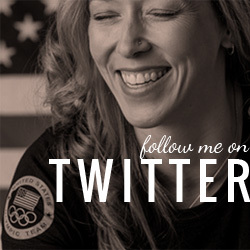 So here’s my disclaimer: I’m not trying to embarrass anyone by discussing the financial aspects of being an amateur Olympic athlete. If anything, etiquette dictates that I should be the one who should be embarrassed since public discussion of one’s personal finances is usually frowned upon in polite society. But I started this blog a long time ago to try and de-mystify the lifestyle of athletes who are Olympic Hopefuls, and offer a lens into what doing this is really like. I write a lot of cute and inspirational things about training and selection and racing and travel and how physically and emotionally demanding those things are. Maybe sometimes I err on the side of the grandiose in my writing just for the sheer drama of it, but the one thing I will never default on in my posts is honesty. If you want to know what it’s really like to be one of us, you have to know that there is a huge part of this lifestyle that I consistently leave out of all of those other posts. And that is: that I never, ever, ever train or compete for one single day without worrying about how I am going to pay my rent. First, let me explain how funding as an athlete works. For the most part, athletes rely on a grant system run by the non-profit, the United States Olympic Committee, known as Direct Athlete Support. All Olympic National Governing Bodies receive DAS grants from the USOC, but may structure its distribution in different ways in order to best meet the needs of their sport’s athletes. USRowing has organized its DAS so that athletes receive monthly checks, and the recipients and their respective amounts are re-evaluated quarterly. DAS amounts vary based on both subjective and objective criteria (performance, experience, etc.) and can be changed or terminated by USRowing throughout the year. Generally, athletes who receive DAS are individuals who have made the Olympic Team or the Senior National Team in a supported Olympic Boat Class in the preceding year. Opportunities for non-Team members to receive DAS are limited. There is a fixed budget for the amount of money that USRowing can give to its athletes through DAS in a year, which in turn is split in to four fixed quarterly figures. So what we find is that within this fixed structure, amounts distributed to DAS eligible athletes must balance each other out; so if one athlete receives a larger stipend during a particular quarter, another athlete must in turn take a pay cut to even out the budget. Moreover, the annual budget for DAS from the USOC does not necessarily increase each year with improved team performance, so even when more athletes qualify for DAS (aka our Team wins more medals at the World Championships), athletes may receive the same amount or even less money through DAS. I think of this as the “win more, earn less” problem, which seems to contradict the most basic rules of economics. For now, we do not have an outside source that can supplement the DAS budget, so what we get from the USOC is it. There is no way for athletes to earn more money throughout the year from USRowing or the USOC by showing up, making the Team, racing, and winning*. I think it is generally understood that most amateur Olympic athletes who are training full time live a pretty modest lifestyle. There are exceptions, in some high-profile Olympic sports, but no one joins the USRowing Training Center thinking that their time on the National and Olympic Teams is going to be filled with glamor and luxury. However, there comes a point after choosing this lifestyle for several years where you learn to really appreciate the differences between thriving, living, and surviving. I have had financial ups and downs while I have been a resident athlete at the Training Center – sometimes things are really bad, and sometimes they are aren’t. Right now happens to be a pretty tough financial time for me, and I would be lying if I said that it didn’t affect my day-to-day, and my ability to train at my best. Because of a significant cut to my monthly funding from the USOC at the beginning of 2014, I have been forced to spend absolutely everything I had saved in order to make ends meet this winter. By the end of this month, I will not have any money left in my checking or my savings accounts. The situation I find myself in now is one of the “perfect storm” variety. This year we were fortunate enough to be granted access to the US Olympic Training Center for a long, three-month camp that allowed us to escape the grueling East Coast winter and continue to train on the water in Chula Vista at a very high level. However, the cut to my funding was effective January 1 – right after camp had begun and I was committed to being in California for three months. My natural inclination at that time would have been to start looking for a job immediately in order to supplement my income and stay afloat. But being on the wrong coast and unavailable for interviews with potential employers in Princeton, let alone actually being in the office, made that impossible. So there wasn’t much to do but wait until I returned home, slowly burning through all my cash reserves while bills continued to roll in for my housing, car and credit cards. And did I mention that right before Christmas the transmission blew on my truck, adding an additional $3500 repair on to my already crushing financial burdens? Anything I had saved is gone. And without the help of my family and from the New York Athletic Club, I would not have been able to stay at camp this winter. So now, as we are getting ready for the first National Selection Regatta at the end of April – an event that requires my absolute best performance as it is the first step in my possible selection to the 2014 National Team – at home I am frantically scrambling to try and figure out how I’m going to make it through the end of the month as my money runs out. I’m cutting expenses, budgeting, trying to figure out how I’m going to cover what needs to be covered, while also tying to put together a résumé and cover letters to send out with job applications. My attention should be focused on training, resting, recovery, and making my boat as fast as it can be. Instead, I’m feverishly working on my laptop, hoping that someone will think it’s a good idea to hire a part-time worker who is a full time athlete with no flexibility, no idea of a day’s schedule more than twelve hours in advance, and who sometimes needs to take a few weeks or a few months off at a time. So yeah. I worry. And then I worry that I’m worrying because it’s detracting from my training. And there’s nothing that I can do about it except hope that it’s all going to work out. What I’ve come to realize after going through this for several years now, living month-to-month and never living within my means is this: I should just be able to train and treat my training like my job. My coaches and administrators expect that of me. They expect me to show up and train 30-40 hours per week, and also to focus myself on all the minutiae of self-care, recovery, nutrition and rest that supplement those daily hours of on-the-job performance. They want me to give one hundred percent of myself to my training, to prioritize my commitment to the Team over everything else, to lead by example, and to make it my personal responsibility to always find ways to make myself and my Team faster. I want that, and I love that that could be my job. But they won’t pay me like it’s my job. And on the women’s team, unfortunately having an actual job that pays like an actual job is not supported, or even realistic from a scheduling point of view. We just don’t have the time. So most athletes, myself included, depend entirely on their monthly DAS in order to survive. And the DAS grants are almost never enough to cover the cost of living in Princeton**. For Quarter 1 of 2014, USRowing deemed me eligible for $800 per month through DAS. I am one of the most experienced athletes at the Training Center, with only one athlete here with more years of experience than me. I have committed my life to the Training Center and its athletes over the past eight years, but because of my 5th place finish in the W4X at the 2013 World Championships, USRowing values my contributions to the Team this year at only about $9600 (if I am lucky enough to keep my DAS Q2-Q4). Well below the federal poverty line. I have potential to earn more DAS (or less, or none!) for Quarters 2, 3, and 4 based on my performance at the NSR, the World Cups, and the World Championships. But as a baseline, this isn’t nearly enough for me to survive. And it’s definitely not enough for me to thrive. It is probably not a surprise that I earned more per month on my rowing scholarship at Washington than I do now as a two-time Olympian. For me, this is a serious problem. I don’t think that as a thirty-year old woman with eight years of experience at the highest level in my field, I should seriously have to consider choosing between housing, my vehicle, my healthcare, or eating in order to continue to train and do my job. There is no dignity in living with no independence and burdened by ever-increasing debt in order to train and be a part of our nation’s Olympic Team. And there is absolutely no way that expecting athletes to live this way will foster our fastest, most successful Team. 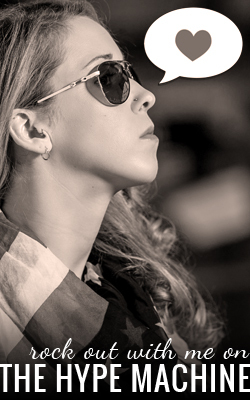 USRowing has made it clear that there just isn’t any more money for anything, ever. We are constantly reminded that our team is underspending our biggest international competitors by staggering amounts, but that doesn’t ever seem to change. And as ever, we are made to believe that we should expect to be underpaid and underserved by our NGB because we somehow deserve it. Also that we shouldn’t waste our time imagining anything better. Athletes are keenly aware that the invitation to leave the Training Center, if we are unhappy with it or its resources, is always there (don’t be surprised if I get a[nother] reminder after posting this). We shouldn’t be doing this for the money, after all. We should be grateful for what we have. And I have a lot to be grateful for. I rent a great house with one of my teammates from a wonderful landlord with an insanely low rate for the Princeton area. I have my truck, which is back to running great (for now), to get me to and from practice. I have my health. I have food in the house. But at this rate, I don’t have a way to maintain all of those things. And as tough as times are for me right now, there are currently people at the Training Center who receive even less funding than me, or none at all. I am lucky to have what I have. I don’t do this for the money. I never have. But the bottom line is that I am bankrupting myself just to be able to show up, let alone make the team, and win medals. It’s a terrible realization looking back over two Olympic cycles to when I left college debt-free thanks to my rowing scholarship, and since then have lost money every year I’ve been at the Training Center. I lose more every day thanks to the credit cards I’ve depended on all the other times I’ve needed airfare to camp, or a new pair of running shoes, or gas, or groceries, and the cash has run out. Will it ever change? Will athletes ever have a real shot at a sustainable lifestyle while training to be Olympians? How fast could we be if athletes didn’t have to worry about affording housing, or food? Or what about having any opportunities to plan for their futures after rowing? The way things are going, I will exit the Olympic track at age 32 with no savings, no investments, no retirement plan, no house, no family, no practical career experience or résumé, no graduate education, and several thousand dollars of debt. All for a shot to be a part of the most powerful and prestigious Olympic Team in the world. Is it a small price to pay? or a big one? * The USOC does offer one supplemental program, “Operation Gold” which delivers cash bonuses to high-performing Teams after a World Championship performance. Medalists (gold, silver or bronze) receive $5000, A-finalists receive $2500. In the Olympic year, Op-Gold rewards are only paid to medalists: $25000 for gold, $15000 for silver, $10000 for bronze. ** the NYC area is one of the most expensive places to live in the US, with housing costs in Princeton seeing exorbitant inflation due to the presence of Princeton University. In your forum I will respectfully not discuss what I know about poverty and how I know it. I do firmly believe that with your level of commitment, the Universe will move with you. I would like to be able to say more than, “good luck,” but at the least I can assure you it’s not empty when I say it. The problem with your argument is that you have expectations to have what you deem a livable wage. You EXPECT that you should be reimbursed for competing in what is,quite frankly, a low popularity sport in the US. What income do you generate for the US? Who pays to watch you compete in domestic events? I believe tax payers are the ones who provide your salary – but what are you giving back to them? In the real world, you provide a service and people pay you for it. As of now, you are taking money and providing no service to the people who pay for it. What you are expecting is recompense for bringing in very little. Don’t get me wrong – rowing is a fantastic sport. But expecting to be paid a “livable” wage from it is not realistic. You said it yourself – you don’t sign up to be on the national team because you want to earn a ton of money. You know what you’re getting into – rowing and competing for the glory of competing to be at the top of your sport, not to earn a ton of money. You weigh the options of glory/competition vs income, and you make your choice. If you want to compete, you will have to find other means to support yourself. It’s the price you pay, and the price you KNEW you were going to pay when you signed up. I think we didn’t quite get the point across here. First, I don’t expect athletes like myself to get paid oodles of cash. Being able to afford basics like food, housing and transport would be nice. Breaking even each month would be better than going in to debt. But we aren’t there yet. Secondly, I have no issues with working part time to help cover personal expenses. I have worked part time in the past as my schedule allowed in order to do just that. But there is a severe disconnect in our training center culture between the need to work and the ability to do so. Our schedules make it extremely difficult to work regularly, and working is an easy way for you to be disadvantaged, fall behind, or seen as weak or uncommitted to the team/training center. I think more people would be likely to work if it were a realistic option. Lastly: Olympic Games. Cash cow. Do a little research on this multiBILLION dollar industry and try to tell me that there is no value in what Olympians and Olympic Hopefuls do. It is good to maintain perspective because there are innumerable people in the world with problems far greater than mine. But this is my rowing blog, and this is a post about my experiences with an existing set of circumstances in a system many people don’t know much about. I hope things will get better, but I fully appreciate they could be much, much worse. Don’t forget to mention Megan that the USOC gets exactly ZERO government funding! Anonamus, your tax dollars don’t pay for a penny of the US Olympic or Paralympic programs. The money comes from corporate sponsors and private donors. That is a very basic level economics perspective on rowing. You are saying that because rowing does not supply something the public demands it doesn’t justify collecting on anything because there is nothing to collect from. That is because there is no stadium, event, or event forum where rowing brings in money from consumers paying directly for it (or for another matter does something that directly injects capital into the economy), instead consumers, the taxpayer, are paying indirectly whether they like it or not. In that case might as well stop creating grants from tax money to pay researchers at universities to just do plain useless research, there really isn’t a grand “researching event” where we can come watch scientist slowly grow some microbes and sequence the DNA. But that is worth it because maybe their research one day will come around and benefit us directly because we get sick and they’ve come up with a cure. Your argument suggests that if they are researching something that in no way can benefit us as consumers directly, it is not worth researching( even to find out that it is not worth researching is a noble research endevour). I know it’s a stretch from your argument to suggest this and not what you ment but you need to view athletics in general differently than pro sports which have a direct supply demand correlation thats obvious. Your thinking of private costs in economics and rowing is more of social cost. To demonstrate how rowing may save you money. Rowers compete at the olympics, child watches olympics and becomes inspired to row, he joins a rowing club (which exists because people like him have done the same thing and so the demand required the existence of it). Child on the side from his regular life, spends time rowing and becoming physically fit and learning values such as discipline, hard work, commitment) and woah… Friendship and camaraderie. Child maybe grows up and does other things (or goes to olympics and cycle repeats). As a result of being active and fit and disciplined AND understanding teamwork, he goes on to become a productive worker in society and his added health values make him less of a burden on the health care system, saving you money in taxes… or who knows maybe he’ll go on a start something will directly affect your life, and subsequently inject capital into the economy. All the while he may credit sport (rowing in this case) as providing him the same valuable skill sets a Masters Degree would, to succeeding in life. Time magazine did state that rowers go on to become some of the most successful people in fortune 500 companies, because of their work ethic, values, and discipline. Something that indirectly helps you benefit in some way I’m sure. That goes for all athletics, not just rowing. That is the problem with your position, it is so me focused. Your chastising the athlete for being “me focused” for asking not to live below the poverty line, while saying why should I pay because I don’t get anything from you (not you directly, just a person for the sake of this argument). All the while ignoring the social cost/benefit relationship. And yes you can say that these things could happen without Olympians, but all you have to do is see what has gone on with olympic ski cross. How many people new it was a sport and would consider doing it before ski cross and snowboard cross appeared at the Vancouver Olympics. Now it’s a ‘real thing’. So would kids go row and start rowing clubs if there weren’t olympians, probably, but would they do to the point that the US collegiate rowing program is the largest collegiate rowing organization in the world…. doubtful. So yeah, help these people out because they provide a great social benefit and because they are passionate the government knows that they can take advantage of that fact and pay them so little because they love it so much they’ll do it anyway. Think of all the wasteful expenses you can attribute to government spending and whether amateur sport deserves to out rank them in terms of “benefits” to Americans. Big picture here is important. I did discover that USOC funding comes from private and corporate sponsors. While that changes part of my argument, it doesn’t change the main message I was trying to get across – that I believe this article portrayed sense of entitlement and expectation that, just because Megan performs a sport on a US National team, she SHOULD be paid a livable wage. I also agree you example of research funding was a bit of a stretch as well. Another side note – rowers are most probably some of the most successful people because most schools that have programs are Ivy League schools (or have high level academic standards), so hence the people who end up competing in college are typically already the most intelligent and hard working people out there – not necessarily smart and hardworking because they row. I fully understand the concept of being in an underfunded sport, and competing at a professional level and not being reimbursed for it. There are PLENTY of sports out there where this is the case. It is unfortunate, but unless you are competing in baseball, football, tennis, etc, you are simply NOT going to get the funding you need solely from your sport and/or governing body. What is not OK, in my opinion, is complaining about it and expecting that you should earn a certain salary. If you want to earn more money, figure out a way to do so and don’t be dependent upon your governing body. There are plenty of people on the US Rowing national team who find a way to make ends meet; some even have full time jobs and still succeed professionally and athletically. Anonymous: what is not OK is suggesting that I cannot or should not want something better for my Team, and for the athletes who come after us. Support for Olympians has come a LONG way in the past 30 years, and there is no reason to think that we cannot continue that momentum (no matter how gradual) until we have a system that allows for basic subsistence for athletes who are representing their country at the Olympics. There was a probably a point where someone said “You shouldn’t complain about not having a national governing body for your sport” or “You shouldn’t complain about not having a training center”, but someone wanted those things to change for athletes, so they did. It might not happen soon, but it won’t ever happen if someone doesn’t want it to happen. The good news is that you aren’t an American Olympian or an Olympic Hopeful, and you now know that your tax dollars aren’t being wasted on us, so you don’t have to worry about it. And I realize you are now an expert on the personal lives of athletes on the US Rowing Team, but I can tell you with absolute certainty that none of the women at the USRowing Training Center in Princeton have full time jobs. You may be thinking of athletes at other clubs, or athletes on the men’s team, all of whom have separate training plans and guidelines. P.S. Ivy League schools also have other sports teams like football, basketball, hockey, track… yet those super-smart Ivy athletes weren’t featured (yet!) in any comparable articles as being particularly business-savvy. Are you SURE you have your cause-effect organized correctly? Hi megan, have you thought about making a kikstarter to support yourself and other athlets in similar position by using the power of crowdfunding? I dont know but I think that may work because people love to help promising people. you can do something in exchange for that economic help like taking with you on your boat shell or your suit the signature of all the founders or even sending them a signed shirt from all the athlets that had a benefit of the funding. I hope you can succesfully pass all this economic problems. PD Sorry for the bad english I’m not a native of the language. If you want to see more about crowdfunding you will love to see this sites. My wife Carol and I have a 13 yr. old daughter who rows for WYRA in Wilmington,DE. This past weekend we met your teammate Adrienne . She may remember us because I told her that I read about her on your blog. I also asked her about the origin of her nickname and why so many Huskies were members of our national team over the years. Please contact me at your convenience. I know we can help you. 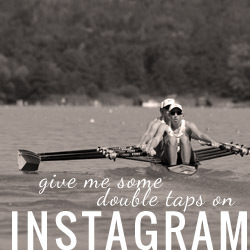 I’ve always enjoyed your posts – this one is appreciated, although not as “enjoyable.” I just think it’s sad that the US program isn’t set up in a way that encourages growth outside the rowing process. My limited understanding is that there are countries where training programs are structured around some level of life outside the sport – am I mistaken about this? Are there successful athletes you race against who have careers? Sure, they may not be progressing in their chosen outside life as quickly as they might if they weren’t rowing, but isn’t there some middle ground? Obviously the nature of the outside commitment would define this possibility as well. There are many people in the rowing world interested is supporting your efforts – hopefully you and others will find a way to market that opportunity – no signed t-shirt necessary…. Megan, I completely understand your point about (lack of) finances. Been there done that 1993-98. I remember living on friend’s sofas, holding down a series of entry level part time jobs, building credit card debt, buying almost all my food in bulk etc. For my national team bio, I listed my home address as my license plate. I was more than a little surprised to see that the Operation Gold funding is *exactly* what it was when I was rowing on the National Team 20 years ago! I can also see how someone could view anyone in your position as coming off a bit “entitled”. To those who are saying that taxpayers are paying rower’s (or any Olympic hopeful’s) salary: USOC is not a government agency. Taxes do not fund Olympians or Olympic hopefuls. USOC is privately funded. America doesn’t send an Olympic Team. Americans do. Thanks Dave. One of the biggest challenges the current generation of athletes faces is that the overwhelming majority of our community and even some of our closest supporters just don’t know how the system works. Whether or not I come across as entitled, it’s good to know that a few more people out there have some knowledge of how funding works, and what the implications are for the athletes. So how can we help? Contributions to the rowing support organizations don’t necessarily make it to individual athletes. Unlike a comment posted here, taxpayers are not supporting our Olympic athletes. Is there a mechanism to help? Michael, you are right. Donations to USRowing or to the National Rowing Foundation support “Team” finances like travel and competition (WHICH ARE VERY IMPORTANT!!) but they do not go directly to the athletes for day-to-day expenses. I will definitely let you know if the Team initiates any independent fundraising before Rio. Thank you. Why not work? Get a job, leave camp, get a training plan that accommodates your needs, and race trials. There are high performance rowers who hold part time and full time jobs. They manage their student debt, because not everyone gets a scholarship. What are your obstacles to that path? That path is essentially career suicide. People who leave the Training Center are not likely to be welcomed back, let alone selected to a boat. Not sure if you have been watching the women’s team rosters over the past several years but making it from the outside is rare. My best bet for making the Team and winning medals is to stick with the head coach and with the best athletes in the country. Is that primarily a function of the way the women’s team in Princeton is run, or something else? Gevvie, for instance, got to be the W1X in London, despite being a med student and training primarily in Boston, and the men’s team seems to have a bit more geographic and work/training diversity, though I admit to not following the ins and outs of the national team as closely as I used to. If you want to be a part of the team, you train with the team. It’s a pretty basic philosophy, and I don’t disagree with it. The men’s team has a different set of guidelines for participation. I can see how it would be more of a problem for the team boats, as opposed to the single, since there is more coordination, (and also more seats for Olympic hopefuls), but I wonder if this is a problem that’s uniquely bad for the PTC women? Megan, thank you for this post. I have been carrying misconceptions for years about elite athletes (including rowers), and this is eye-opening. I always thought elite rowing was the province of the trust-funded, whose parents who could afford to and were kind enough to support them. Sure, it’s a struggle to not make money, but if you didn’t have a support system somehow, obviously you’d do something else. I now realize that that’s not necessarily the case. I rowed at a very good college program, and I found (and hated) that there that there was no recognition of responsibilities outside of rowing. The culture of our sport seems to very much be ‘if you’re struggling with anything other than rowing…that’s your problem.’ That’s a shame at the elite level. If they’re not going to pay you (which…ok, the culture of ‘amateur’ athletics is a very long discussion for another day), it’s wholly unreasonable to not structure training so you can hold down a job. As an Olympic hopeful in US track and field, I am in the EXACT SAME BOAT you are. I made a World Championship team in 2011, I have a shoe sponsor and receive a small stipend every month, but I have the exact same fear you have every month– where can I make cuts? Groceries, necessary massage (as an athlete who pounds her body every day, regular massage is necessary for my health), health insurance, travel, regular ole living expenses… it’s IMPOSSIBLE for an athlete in my sport to make money unless you are one of the few big names out there. The majority of track and field athletes are living far below the poverty line. As for the “get a job” argument, I’m also right with you: that’s suicide. If you have real Olympic aspirations (and the talent to get you there), training needs to be your full time job. Working at a running store or, even worse, at a 9 to 5, makes it impossible to train and live the proper athlete lifestyle… you’re doomed to never reaching your full potential. I’m really not sure what can be done… the entire system of USA Track and Field needs to change. I’m thankful I’m in a training group that gives me housing and helps with some physio and travel. That eases some of the stress, but it’s regular struggle. Standing alongside you. I hope, after all this, we meet on Team USA in a few years!! Basically, we have a system, like yours, where athletes are expected to be full-time athletes and to be increasingly professional, but that is not recognised in their stipends/funding, and many struggle to make rent. It is quite telling that one of our best athletes last year made substantially more money from a 20 hour a week job that was slotted around training and competition than monies received through stipend and medal bonuses. It’s clear that sponsorship for rowing is hard to come by, but one is forced to question whether USRowing, or Rowing Australia, are even starting to explore what that is, or indeed economies that could be made with their staffing. I look with some awe at GB Rowing’s funding system (which does pay athletes to train – one need only look at the carpark at Caversham, or the number of athletes who manage to scrape up house deposits whilst on the team) and wonder how realistic it is that neither of our countries manage anywhere near that support. It may be apocryphal, but I remember hearing a story from an old-school USA NT-er (before you were born…) that quite a few of the boats were not as fast as they could be, because it was so much more economically viable for many of the top athletes from top schools to go and work on Wall Street rather than take the chances with selection and the breadline. Kudos to you for doing do! I feel for you both. I am a sport scientist working at the Australian Institute of Sport and former athlete. The situation is actually far dire than you describe. It is not only DAS that has not kept up with cost of living, it is also the athlete support system that is going backwards at the AIS. It is interesting that while the total high performance bucket of funds is still ever increasing (has never gone backwards… yet), the direct and indirect athlete support has gone backwards. Without sport science support athletes in technical sports such as Rowing are not likely to be competitive. The current system does not seem to value the expertise that is required to make real impact, and we have seen a massive exodus of expertise from the AIS. The entire senior coaches group left (all are doing well elsewhere NZ, Canada, UK for example). The two biomechanists (and others) that worked with Rowing left with disgust. At the same time, there seem to be abundance of money for sport administrators. Lots of them actually. at >$150k pa each. A couple even confessed to me that they do not have an idea what are they supposed to be doing. The extent of qualifications they seem to have is former athletes or coaches. As I don’t see this trend changing any time soon while the boys club is in charge, sadly, if I were you, I would aim for one of those cushy jobs as a sports administrators at the AIS, Rowing Aus or similar. At the same time, Mellissa Breen, the fastest woman in Aus, who recently broke the national 100m record, is not receiving any DAS from Athletics Australia. Sigh. It is sad to see a once proud sporting nation and sporting organisations becoming a laughing stock and irrelevant. Good luck. Maybe there should be an athlete union? High performance athletes could then negotiate payments with bargaining power equal to the USOC and USRowing. No pay = no row for the training center. Just get everyone, as well as those waiting in the wings, onboard. FYI here is the NZ Government’s funding of Olympic Sports. Hey Megan. 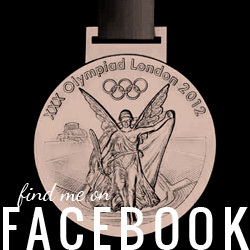 One of my Olympic clients passed your blog post onto me. Thanks for your kander and honesty and I am sorry you have to live this way. I work with Olympians so I know all too well what your financial situation looks and feels like and how it impacts your ability to perform. When I think about all the money professional baseball, football and basketball players make it makes me sick to my stomach; not sick necessarily that they make so much money but that Olympians are scraping by. I am going to send this blog out to all of my social media. If there’s anything I can do to help please let me know. Maybe as a first step toward improving matters for our world-class women athletes such as yourself, the Foundation might join the twenty-first century and change “oarsmen” to “rowers” in that statement. Women have been competing in Olympic rowing since Montreal (1976) — nearly forty years ago, and right from the start American women were winning medals. It’s well past time to change the NRF’s mission statement to reflect that. As a second step, we need to figure out how to get it, and US Rowing, to quit fixating on the men’s viii and pay more attention to small boats, sculling, and women’s rowing. 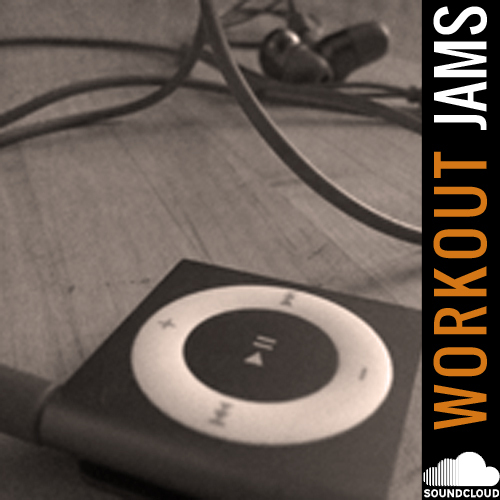 Did I mention that you and your teammates rock, both on the water and on the erg? Here’s hoping you find a way to continue in a sport you so obviously love (in addition to being fabulously good at), and that we see you and the rest of the squad atop podiums in Rio. Somewhere inside US Rowing is a Women’s Endowment Fund that was established to provide stipends to individual athletes. It has insufficient funds and yet it is never publicized or promoted. I have seen it referenced in the financial statements. Building up that endowment could be means of long-term support. Not a quick fix, but its the kind of project that retired medalists might want to consider undertaking. Here is information on the Fund. It’s is buried deep in the financial statements. I have not found much on the donor’s intent, but about a decade ago it looks like US Rowing raided it for operating expenses. I had the impression it was the donor’s intent that funds be used to help individual athletes. It’s murky. I also find it odd that it is never listed as an option when US Rowing is fund-raising. One year I made a donation to the fund to see if would force disclosure in the Annual Report. It did not. Had I sought election to the US Rowing Board, as I had planned before moving west for a few years, raising the profile of the Fund was going to be a primary goal of mine. Megan, I don’t hear you making the case that you are entitled to be compensated for the “privilege” of working your rear off, being at the beck and call of team training, living hand to mouth in order to represent your country at the highest level! Sounds as though “Anonymous” thinks that you should be grateful that you get to train and compete for a sport you love, despite living at poverty level. My family includes a “daughter of my heart” who is a Paralympic cyclist and I can tell you that the one thing that I find HUGELY appalling is the uneven playing field. Athletes from other countries live subsidized lives – their career IS training to represent their country. I feel that this gives them a huge advantage and I am ashamed that our country doesn’t support the very athletes who go forth in our names – we take the wins and the losses personally and we are free to castigate, complain, applaud as we see fit. You have made a brilliant case for offering our esteemed athletes more support. At the very least, you have opened a conversation that this country should have been having for a long, long time. You rock, kiddo! You are, indeed, brave to present the financial reality that you and countless others live with daily. I know how hard you work and I know that everything else in your life comes second. I wish that I could give you a soft and peaceful place to land and rest for the next brutal day of training! To add to Alister’s earlier post re Team GB funding – you also have to bear in mind that, even though it is often denied, a large percentage of GB rowers come from pretty ‘privileged’ backgrounds by US standards. Class is still very much alive in the UK. To put it in simple terms, mummy and daddy buy you a new Empacher when you are 17, you then go to a top-10 university, where you concentrate on GB trials while studying. You graduate, do a Masters, a PhD and proceed to continue rowing at your parents’ expense, even if you do not make the team; at the age of 30 you realise that it is probably time to quit – you then retire and get a job using your father’s connections (or just join the family business). This actually is a pretty common scenario. A step below that would be getting a part-time job and training around it trying to make the team after your graduation. Which can actually work pretty well, I have known of people putting together mortgage deposits while living like this. As the parent of a promising rower about to have his first taste of the junior national team system (HP camp), this was a sobering but welcome look into a topic that is not discussed enough in all spheres of life, athletic or not. I have always wondered how national team athletes manage this aspect of their lives, so thank you for sharing. It is brave to tackle a topic many find distasteful, especially when your views may be be unpopular, misconstrued, or both. Some ideas/thoughts, perhaps more directed at US Rowing than you. Does USR do anything to facilitate individual sponsorhip/endorsement deals for successful/experienced athletes? Would such deals create more “chemistry” problems on the team than they would solve? The quarterly re-evaluation system seems particularly harsh and unnecessarily stressful. Seems to me if USR can’t trust the athletes they select to perform for an entire season, and commit to them financially for that period, then maybe there’s something wrong with their selection system. Last idea: Kickstarter. Not kidding. We know exactly where you are coming from. Our son is on the United States Ski Team and is only 15 years old. When people approach me, the number one assumption is that it is funded by our government. Most people don’t realize the sacrifices that the athletes and parents make to be an Olympic Hopeful!! Other countries have salaried athletes and housing as well! Hoping you will get some sponsors and much blessings!! 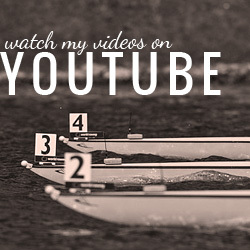 Thank you for your great insight on how USRowing runs. After reading this, I am amazed that you could compete at such a level while still being expected to work and pay for own living expenses. I used to row as a elite junior for Hong Kong, and after reading what you go through as an Olympian, I am humbled by your situation. Hong Kong’s rowing is very similar to NZ, AUS, and UK. We are lucky enough to train at a integrated sports institute and funded for everything, from new boats every year to world class physiotherapists. I recently moved back to the US and because I have dual citizenship, I do wonder is it practical for me to return to rowing after a 18 month retirement and trial as U23, when I’m a lightweight, never trained in a club besides my national development team in HKG and not going to a prestigious university…….. Apologies for any grammatical errors made.